A few days ago (yes, I’m behind on email!) 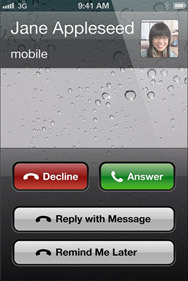 we got a nice tip from Joe that Hotmail on the iPhone was now available in the US. Well, I did a little testing today and he is right!! 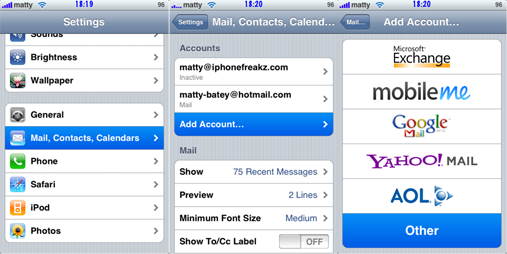 About three weeks ago, I wrote about the ability to get Hotmail on your iPhone in select countries. In that article I mentioned that they were going to make POP3 technology available for other countries as the year progresses…well, it seems they have done just that! Ok, here is the deal. I have been hearing about Hotmail on the iPhone (and receiving emails about it) for a while now. I put off writing about it because I could not personally test it. However, mattyb123 from our forum, has written a nice tutorial so…I thought I would pass it along. It seems that Microsoft Hotmail Live now supports POP3 Technology however, it is limited to a few countries including; Australia, Canada, France, Germany, Italy, Japan, Netherlands, Spain and the United Kingdom. You can check out Microsoft’s blog entry about rolling out POP3 for more info! On a side note, it seems that they will continue to make the POP3 technology available for other countries as the year progresses. 1. Make sure your signature is not the default one that only says, “Sent from my iPhone”. Changing it to anything else so it creates a custom file. Gmail now had a video tutorial on how to set up the IMAP feature on the iPhone. Between the video below & these instructions you should be able to set up your account. This allows syncing between email on your iPhone and your Gmail account. This way if an email is deleted on your iPhone, it deletes it in your Gmail. Google now has now released the IMAP service for Gmail accounts. 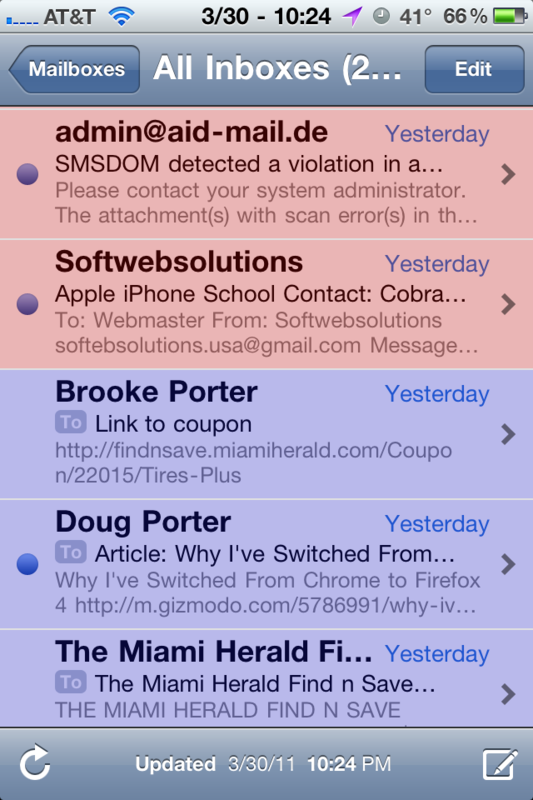 This means that your email can actually synchronize with your iPhone instead of just pulling it down from the server. Before you would setup a Gmail account on your phone by adding an account and clicking on Gmail. 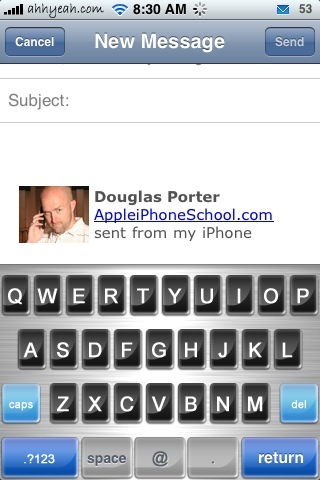 If you read email on your iPhone it would still show as new in your Gmail account and vise versa. 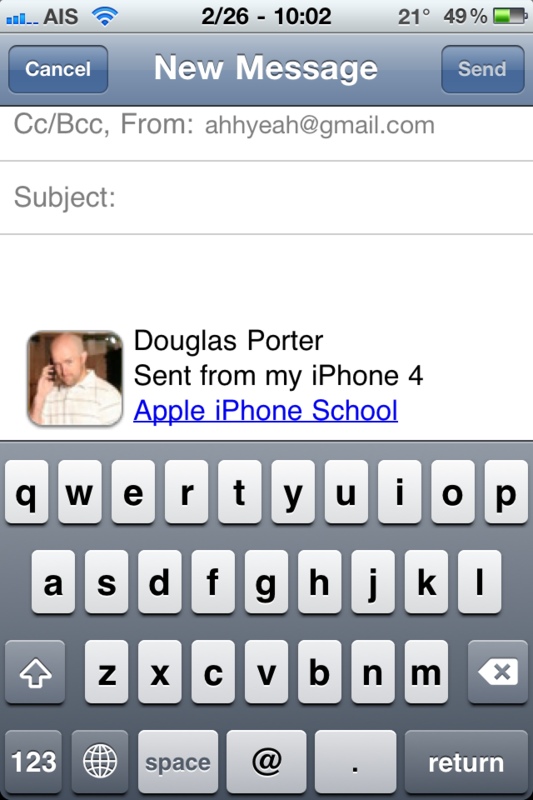 Now it is synchronized both ways and you can label your emails from the iPhone. Here are the instructions from Google. Also, be patient for the feature to become available for your account. One of my newer Gmail accounts didn’t have the feature available to activate.